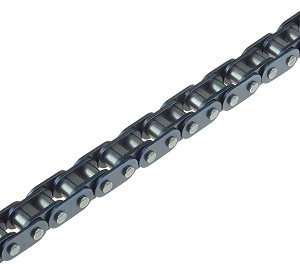 8mm chain is also called T8F chain. 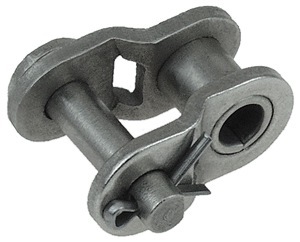 The half link enables shortening or lengthening of chains by a single link. Compatible with 8mm chain. Requires one master link for installation. 8mm chain with master link custom made to your exact specifications. Specify the number of links that you need and we will custom make that size chain for you. Ten foot length of 8mm chain with master link. 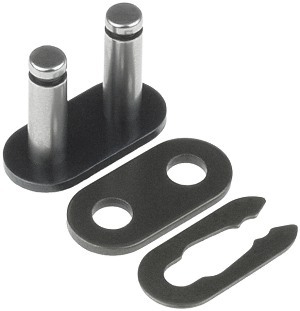 The most common 8mm chain sizes for electric scooters, pocket bikes, ATV's, quads, and go karts. To determine the number of links a chain has count one link per space in the chain. 20" length of 8mm chain. This chain includes a master link. 26-1/2" length of 8mm chain. This chain includes a master link. 29" length of 8mm chain. This chain includes a master link. 30" length of 8mm chain. This chain includes a master link. 32" length of 8mm chain. This chain includes a master link. 34" length of 8mm chain. This chain includes a master link. 36-1/2" length of 8mm chain. This chain includes a master link. 37" length of 8mm chain. This chain includes a master link. 37-3/4" length of 8mm chain. This chain includes a master link. 39" length of 8mm chain. This chain includes a master link. 40" length of 8mm chain. This chain includes a master link. 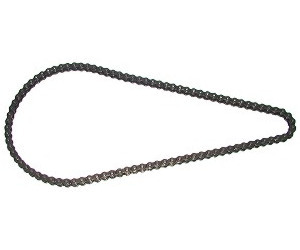 41-9/16" length of 8mm chain. This chain includes a master link. 44" length. continuous solid loop of 8mm chain. This chain does not need a master link. 44-5/8" length. continuous solid loop of 8mm chain. This chain does not need a master link. 45-3/8" length. continuous solid loop of 8mm chain. This chain does not need a master link. 60" length. continuous solid loop of 8mm chain. This chain does not need a master link.